Villa Orak is brand new luxury villa in Kalkan built in a very modern style and luxury inside and out. The outside space is fabulous. Villa Orak is brand new luxury villa in Kalkan built in a very modern style and luxury inside and out. The outside space is fabulous, with its large infinity pool with stunning views overlooking Kalkan Bay and plenty of space around the pool to relax on the sun-loungers provided with Its amazing views. The gardens themselves have been beautifully landscaped however the highlight is without doubt the infinity pool with its stunning views. Sliding doors open from the sitting room onto a large terrace which is ideal for dining alfresco and which again takes advantage of the spectacular views. All five of the luxury bedrooms have their very own en-suites. 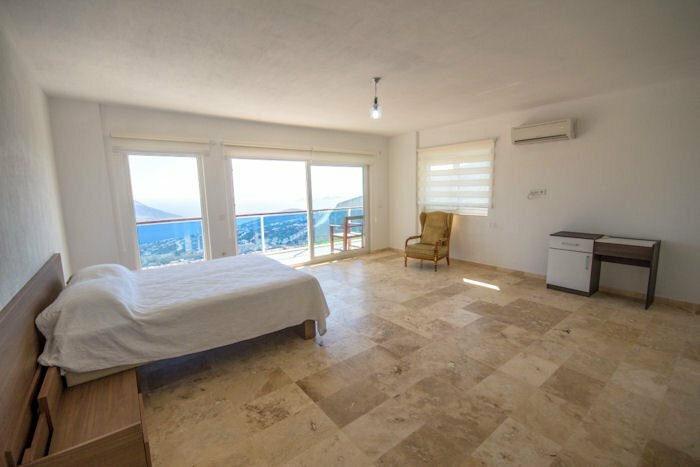 Villa Orak is also within walking distance of a few local shops and bakery and within a few minutes drive from Kalkan centre itself. Villa Orak is one of the best luxury villa rentals available in the Kalkan area, a great place for families and group of friends alike.